The Benjy's on Washington Ave is hosting a Beer Dinner with Real Ale Brewing on Thursday, July 28th. 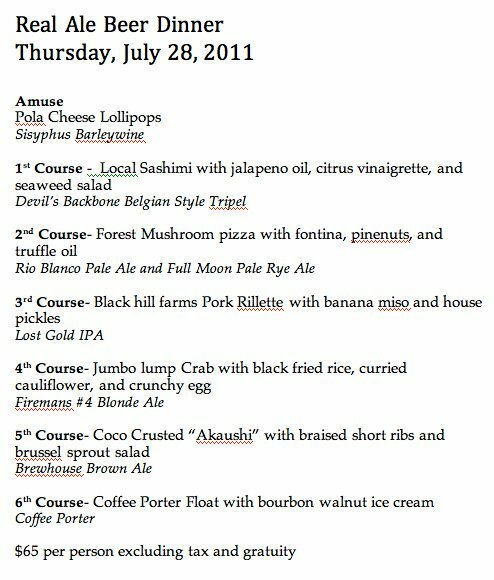 The cost is $65 per person (plus tax and tip) and includes six courses paired with beer from Real Ale (see menu to the left). Brad Farbstein, owner of Real Ale, will also be on hand to talk about the beer and answer any questions. Call Benjy's at 713-868-1131 to make your reservations.